Be it the international hunting trip or for the drive to the own hunting grounds: Hunting rifles have to be transported in accordance with the law and well protected. 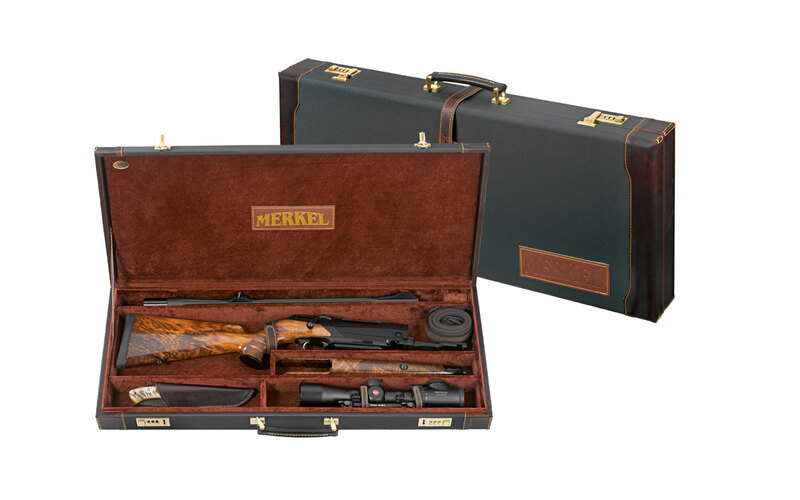 The Merkel portfolio of solutions for this reaches from the soft-shell holster to the noble leather gun case, which even after the check in to overseas strikes a good figure. 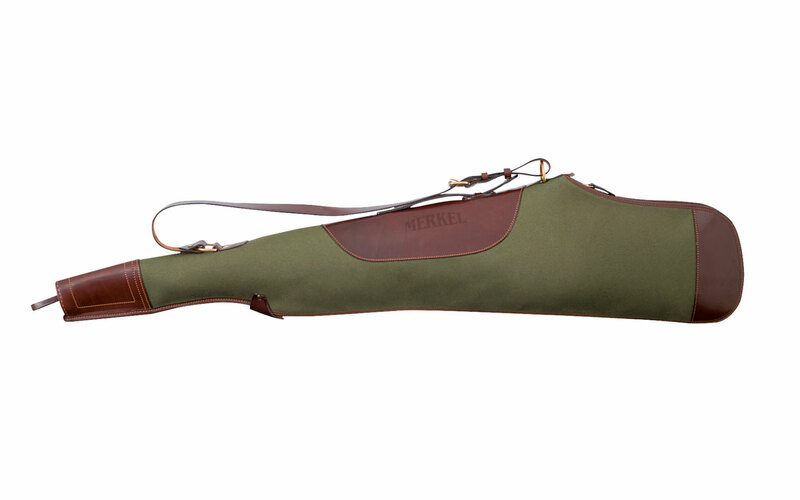 Fine guns – well packed. 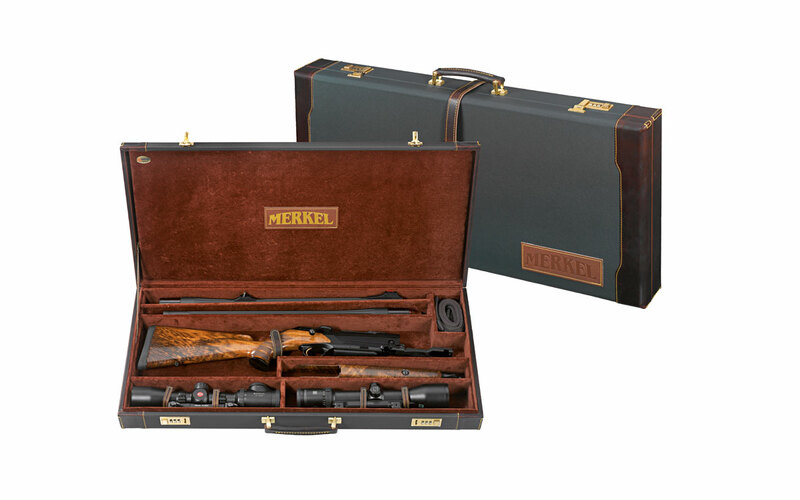 The deluxe gun case is made-to-measure for Merkel hunting guns. 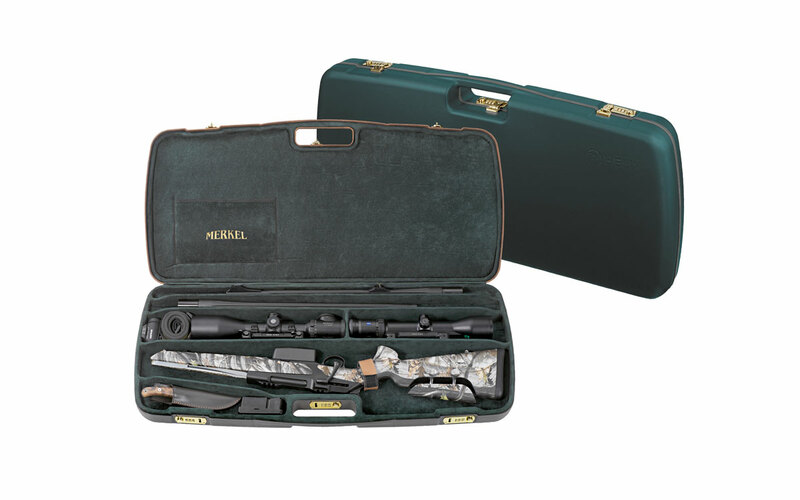 Whether shotguns, rifles or combination guns with interchangeable barrels – with or without scopes – everything fits neatly and well arranged in the case. Two lock secure your favourite guns. Hard-wearing outer fabric, the corners are reinforced with leather. The Helix hard protective case with grip hollow. 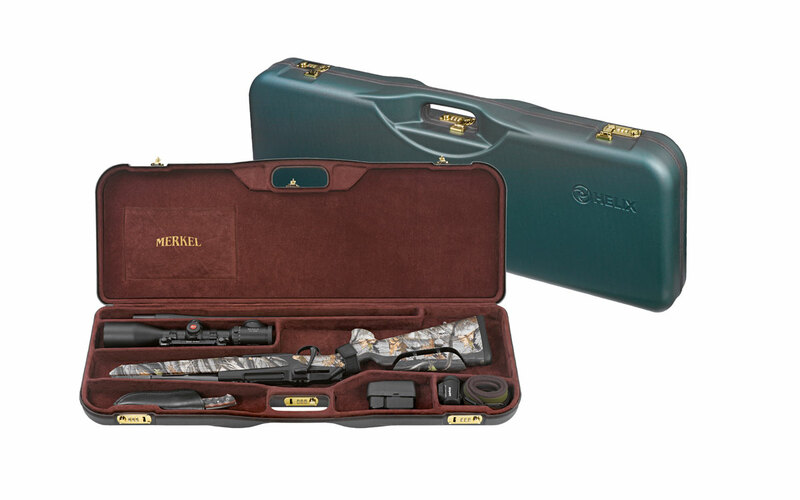 The robust case for transporting a dismantled Helix with scope and hunting utensils. Lockable with three combination locks. For quickly transporting: Padded case with leather corner guards. With shoulder strap and handle, lockable.